Long day but worth the trip. Take some extra money with you and buy a beautiful handmade hammock! The excursion to Tulum Mayan Ruins exceeded our expectations. See my main review for descriptions. The Mayan Ruins in Cozumel are not large. The Mayan Ruins in Cozumel are not large. We were there 45 minutes and then the tour guide narrated as we rode through the island. The bus was air-conditioned and comfortable. Stopped here at the recommendation of Pancho, our Jeep tour guide. Stopped here at the recommendation of Pancho, our Jeep tour guide. Well worth $15 and your time to learn about and experience Mayan culture. An extremely knowledgeable tour guide provided a wealth of information about the Mayan people, their life style and accomplishments. The ruins were inspiring, and the ancillary activities/performances there, ensured a memorable experience. A wonderful explanation and tour of the Mayan fertility ruin. A wonderful explanation and tour of the Mayan fertility ruin. Then a short bus ride to the coral beach before stopping at the Mayan Chocolate factory... very, very informative and super yummy treats! Not that impressed with this excursion. Not that impressed with this excursion. Mayan ruins were quite small and the area very dusty. The stop at the beach was okay, but you only had a few minutes there. There is not enough time to make it to the site from port. Visited San Gervasio ruins, the best preserved on the island of Cozumel. Visited San Gervasio ruins, the best preserved on the island of Cozumel. A short ride from the cruise ship. Our guide, Edwin, was very informative and kept things interesting. Recommended for those who like historical tours. The number of passengers the tour guide had to handle was too large. The ruins were cool, and our guide was excellent. The ruins were cool, and our guide was excellent. The tour also included a trip to The Mayan Cacao Company which was a lot of fun. Required a taxi, ferry and shuttle to the ruins, but well worth the time and travel. Required a taxi, ferry and shuttle to the ruins, but well worth the time and travel. We were provided water at the beginning and lunch to eat while traveling back to the ferry. Tour guide was very good little bit long-winded. Tour guide was very good little bit long-winded. Too many shops on the way to the ruins only want you to do is buy buy. Quite a number of merchandise is over-inflated. Went to Chichen Itza, this tour is as good as it gets given the distance from Cozumel. Went to Chichen Itza, this tour is as good as it gets given the distance from Cozumel. Youll travel a total of 6 hours for a little over 1- hour at the ruins but they are so cool! 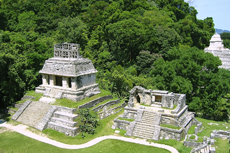 The history of the Mayan culture is fascinating. This tour was ok, boring at times and too many rules to follow. We had a fantastic tour director & were very happy with our choice of excursions. Tulum was a great experience. Tulum was a great experience. Carlos the guide was entertaining and informative. the provided lunch was adequate and authentic. The beach was beautiful. Long ride to and from site (3 hours each way). Long ride to and from site (3 hours each way). Very informative though. Wish ship is in port longer for a longer time on site. My husband went to chichen itza. My husband went to chichen itza. He left at 8 am and got back at 5:20 pm. He did like it, but felt rushed the whole time. Much smaller group..9 people. Everything well coordinated. Guides were awesome. Tulum Ruins were fantastic. Got some great pics! Very informative. Loved it!